Citizens of Sebastian are used to enjoying life in the outdoors. Playing host to Sebastian Inlet State Park, this city boasts an array of fishing and surfing activities. This proximity to the majestic waters also means that tropical storms are more prevalent than many people might prefer. Often, the high winds and extreme moisture combine to create a double-edged sword that can hack and slash at residents’ garage doors. 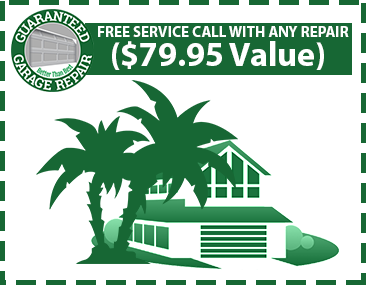 With over 20 years at the helm, Guaranteed Garage Repair has been offering top-notch garage door services to Sebastian and the surrounding areas. Our trained technicians have the expertise and equipment to help with any residential garage door repairs that are needed. 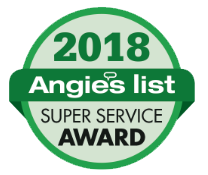 With a reliable record and same-day service, it’s easy to see why we’re proud to be Sebastian’s Top Rated Local ® garage door service company! 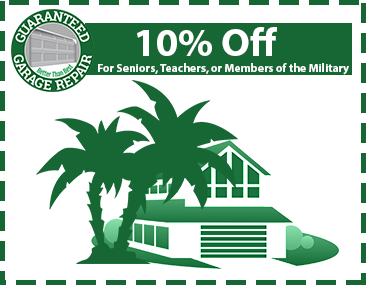 Residential Garage Door Repair. This includes all components of your garage system, including springs, cables, tracks and more! Garage door opener installations. If you’re in need of a crew for installing your new garage door, we can help! From start to finish, we guarantee the best quality and optimal results for your home and your wallet! Safety inspections. Proper equipment operations are vital for ensuring the safety surrounding your garage door. Our technicians will be happy to come out and inspect your system for any defects or malfunctions. Rest easy knowing that Guaranteed Garage Repair has signed off on the safety of your door. Here at Guaranteed Garage Repair, we strive to be better “Better Than Best”. Contact us today to schedule garage door services for your Sebastian home!